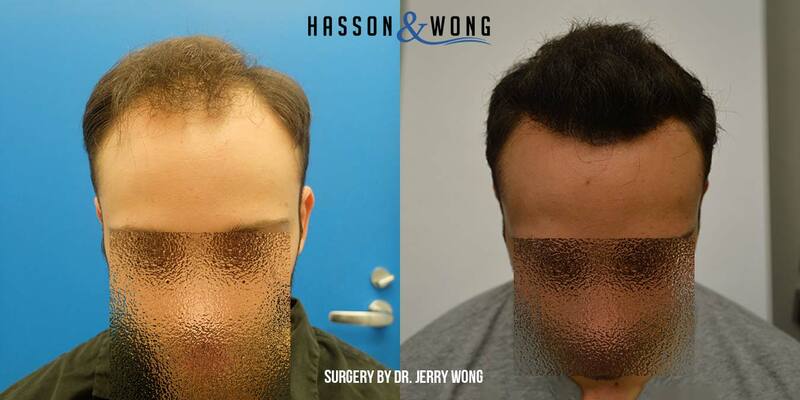 This patient in his twenties from Italy visited Dr Wong for a follow up Dr Wong’s last trip to Italy in 2015. At that stage he was only 7 months out from surgery but already had an impressive transformation and was very happy to let us show his photos. He might expect to see some more growth from that stage but he will benefit from the maturation of the hair as it settles down and become less frizzy which will add to the final result. Another excellent result from H&W. I was wondering if there would be any issue adding additional grafts to this patient’s temples at this time, i.e., do the angulation of the hairline grafts depend on whether temple hair is contemplated or would it be the same whether a patient intends to later build up the temples? Thanks. Garageland: Thanks for not responding to my comment. This patient could have the temple points restored but he would have to bring the hairline down in order to make at all work and look correct. In most cases unless the sides have receded or been lost through traction alopecia they are the icing on the cake and are usually done with patients lower on the Norwood scale. This photo attached shows how the angles of the grafts change from the center of the hairline as you get to the temples.